Leading Manufacturer of cast basalt pipe, cast basalt lined lateral pipe, cast basalt lined pipe and cast basalt liner from Pune. 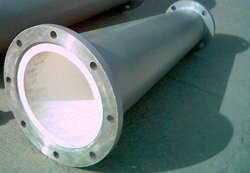 Our organization is the prominent manufacturer and trader of high quality Cast Basalt Pipe. 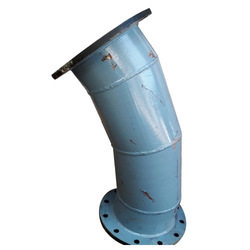 These pipe are designed and manufactured in compliance with the industry standards using high grade material of construction. These pipe fittings are developed with qualitative raw material. We offer custom made pipes as per their exact requirements of our clients. Weight and Sizes - Basalt Tiles are available in regular shape square of 200 x 200 x 30 mm thick, weighing approx. 90 kg/sq m; whereas bends and pipes are lined using Basalt Cylinders of various standard sizes from 50NB upto 500NB. 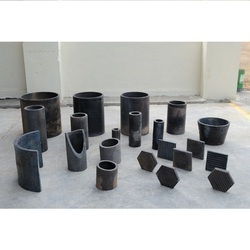 We are engaged in offering a wide variety of Cast Basalt Lined Lateral Pipe. 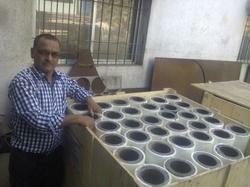 Our organization is the prominent manufacturer and trader of high quality Cast Basalt Pipe & Fittings. These pipe are designed and manufactured in compliance with the industry standards using high grade material of construction. These pipe fittings are developed with qualitative raw material. We offer custom made pipes as per their exact requirements of our clients. Keeping in mind the ever-evolving requirements of our precious clients, we are offering an exclusive range of Cast Basalt Pipe in Pune. This product is highly demanded among our clients for its premium quality and durable finish standards. 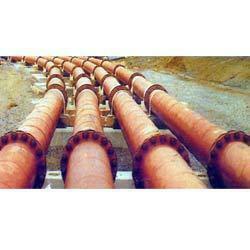 We are prominent names in the industry for offering a wide range of Cast Basalt Lined Pipes. Owing to their sturdiness, excellent corrosion resistance properties, light weight and dimensional accuracy, these pipes are highly demanded. We are one of the reckoned organizations engaged in providing high grade Cast Basalt Liner that is known for its dimensional accuracy, tensile strength and long functioning life. High resistance to most chemicals. Looking for Cast Basalt Pipe & Fittings ?